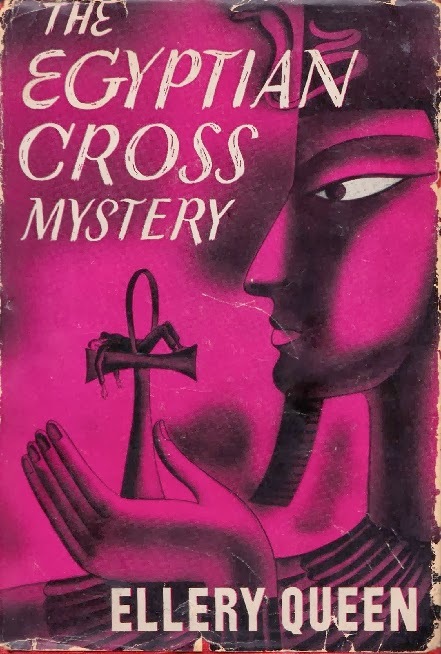 Ellery Queen’s 1932 novel The Egyptian Cross Mystery is something of an oddity as far as golden age detective stories go, by virtue of its sheer gruesomeness if nothing else. Both the gore and the plot make it in some ways an early predecessor of the awful serial killer novels that have been infesting the shelves of bookstores for the past few decades. To me it doesn’t quite feel like an Ellery Queen novel. It’s almost as if the authors were experimenting with a change of style. It also has a lot of the elements one normally associates with the thrillers of its era. The story culminates in an extended cross-country chase by both car and aircraft! The novel opens with a grisly murder in West Virginia. A local schoolteacher has been beheaded and crucified. The whole crime scene seems to indicate some kind of obsession with the letter T, or more likely with T as a symbol of a cross of some kind. Perhaps an Egyptian cross of some variety? This bizarre crime remains unsolved for many months and Ellery has almost forgotten it when another equally gory murder is committed. The method seems to indicate plainly enough that the two murders are connected but there seems no possible connection between the two victims. As if all this isn’t strange enough, a nudist colony also plays a key role in the plot. Not just nudists, but Egyptian god-worshipping nudists. And the Egyptian god they worship is right among them, in the flesh so to speak. Ellery’s father Inspector Richard Queen plays a very minor role in this story, and the hunt for the murderer takes Ellery a long way from his more familiar New York haunts. Despite the thriller elements there’s a puzzle here as well, of course. Personally I don’t think it’s one of the better Ellery Queen puzzles. When I can guess the identity of the murderer something has gone very wrong somewhere, because I’m generally hopeless at that sort of thing. I’ve been reading the early Ellery Queens in sequence, and enjoying them very much, but this is the first one that has disappointed me just a little. I’m hoping that this book was just an aberration and that the next one will return to the much more successful formula of the earlier books. Insofar as he is remembered at all Charles Beaumont (1929-1967) is remembered mostly as a writer for film and television. He wrote many episodes of the original Twilight Zone series (including quite a few that are generally considered to be among the best ever episodes of that series) as well as contributing to most of the other suspense/horror anthology series of that time such as Thriller, One Step Beyond and Alfred Hitchcock Presents. He also wrote some excellent film scripts, his credits including horror classics like Night of the Eagle, The Premature Burial, The Haunted Palace, The 7 Faces of Dr Lao and Masque of the Red Death. His very promising career was cut short by his death from Alzheimer’s Disease at the age of 38. He wrote a couple of novels and during his lifetime he published three short story collections. The second of these was Yonder which appeared in 1958. The impressive quality of his movie and television writing would lead one to expect that his short fiction would be equally worthwhile. In fact, while his short stories are undeniably interesting, they are not always entirely successful. Writing for movies and television requires a degree of discipline, or at least it did in the 50s and 60s. There were certain constraints. Some were technical - there was only so much you could do on television given the budgets and technology of the time. Others were more to do with the audience. The Twilight Zone audience would accept a considerable but not unlimited amount of weirdness. This discipline seems to have been good for Beaumont. When writing short stories there are by contrast very few constraints and at times Beaumont’s writing gets a little out of hand. He had a taste for very black humour, for outrageousness and for a kind of twisted whimsicality. On occasion he gives perhaps too much free rein to these tastes. A little whimsicality goes a long way. Having said all that, it must be admitted that Beaumont had an extraordinary imagination and his ideas are often excellent. The most successful stories in Yonder, stories like The Beautiful People, Traumerei and The New Sound, are startling and disturbing. Other stories like Mother’s Day and The Monster Show collapse under their own weight and edge very close to the perilous line that divides the startlingly imaginative from the merely silly. Several stories could be described as monster stories, albeit with unusually strange monsters (even by the standards of weird fiction). Fritzchen is such a story, but it seems to be bizarre merely for the sake of being bizarre. Last Rites is a robot story, no 1950s short story collection being complete without a robot story. It’s a story that confronts a popular theme in such stories, with robots that have disturbingly human aspirations. In His Image is another robot story but this one left me cold. A World of Differents deals with aliens but here Beaumont gets a little too experimental for my tastes with a story that doesn’t come off. Anthem suffers from similar problems, veering into the world of avant-garde fiction and showing Beaumont trying too hard. Being experimental is fine but can come across as coldly calculated cleverness lacking in any emotional resonance. Hair of the Dog allows Beaumont to indulge his taste for black comedy, with reasonable success. Unfortunately Beaumont’s three original short story collections went out of print years ago although The Hunger and Other Stories has recently been re-issued by Valancourt Books. Used copies of Yonder can be found without too much difficulty. In recent years there have been several posthumous collections. Yonder is a wildly uneven collection but if you enjoy your science fiction horror as outré as possible then you might find it worth checking out. I can’t honestly recommend this collection - it’s not really to my taste but those with more tolerance for literary experimentation might enjoy it more than I did. T. Arthur Plummer (1883-1961) was an English writer of detective stories who is now about as thoroughly forgotten as it is possible for an author to be. Between 1929 and his death he wrote no less than seventy crime novels, including fifty featuring Detective-Inspector Frampton of Scotland Yard. That he produced so many books over such a long period suggests that he must have had some success during his lifetime. 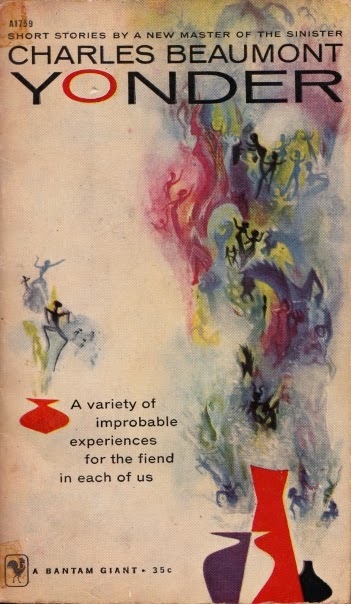 It appears that none of his mysteries were ever published in paperback, which would partly account for the obscurity into which his work has fallen. Whether his failure to have any of his books published as paperbacks was because they were considered to have insufficient appeal to make such publication worthwhile or whether it was due to some other reason remains unknown. Perhaps he had a literary agent lacking in energy, perhaps there were obscure contractual difficulties, or perhaps his work somehow just fell through the cracks. The “J for Jennie” Murders was his twenty-first Inspector Frampton novel, appearing in 1945. It is in many ways a typical enough example of the golden age detective novel. The plot is extremely complex with almost every character turning out to be not what they seem to be. There are secret marriages, there are characters using aliases and there are events in the present that have their roots a long way back in the past. Every character seems to have some dark secret in his or her past. There are murders in country houses and there are murders in theatrical settings. Perhaps that was part of Plummer’s problem - a tendency to throw everything but the kitchen sink into his plotting. The book groans under the weight of so many detective story clichés. Blackmail and ambiguous wills were the favoured plot engines of so many mediocre crime novelists of that era. In this case Plummer has gone for the blackmail angle and he has perhaps overdone it, with too many characters being the targets for too many blackmailers. Plummer is also inclined to complicate his basic plot with myriad sub-plots. Over-ingenious plotting is not necessarily a fatal flaw. A writer with style and flair could keep the reader interested in endlessly multiplying plot twists. Plummer does not quite possess that elusive quality of flair. His writing style has an unfortunate tendency towards clunkiness. An intriguing detective hero was always a major asset to a crime writer. Plummer tries too hard to make Frampton eccentric and amusing. Murder and humour could be a very successful combination but to do it successful required a light touch. Plummer’s attempts at humour seem rather laboured. Frampton never misses an opportunity for a wise-crack but the result is to make him irritating rather than amusing. That combination of murder mystery and humour became less fashionable in the 1950s, mostly as a result of overuse. This could well be the reason for Plummer’s descent into obscurity. Despite these flaws The “J for Jennie” Murders boasts an ambitious plot that is not entirely lacking in interest. Finding any of Plummer’s books would have been difficult in the extreme before the days of online used book shopping. It’s still not easy. Used copies of some of his books can be found although finding an affordable copy of a particular title will present a very considerable challenge. At the moment there appears to be only one used copy of The “J for Jennie” Murders available at the most popular online used book site. Whether the effort is worthwhile is debatable but if you have a taste for obscure crime novels by forgotten authors it’s possibly worth giving Plummer a chance. Published in 1927 and with a title like The Devil of Pei Ling you might expect this novel to be a Fu Manchu imitation. That is perhaps partly true. It does have some Yellow Peril tinges but mostly it’s a fairly straight if very pulpy occult thriller. Herbert Asbury (1889-1963) was best known as a true crime author, The Gangs of New York (filmed a few years back by Martin Scorcese) being perhaps his most famous book. Asbury had a taste for the lurid and the sensationalistic, both of these qualities being present in abundance in The Devil of Pei Ling. The narrator is a doctor who has encountered a very unusual case, a woman brought to hospital as an apparent road accident victim. Her injuries seem minor but she will not speak. And the appears to carry the marks of the Stigmata. The narrator’s friend Inspector Conroy of the New York police has also encountered an unusual case, the murder of a prominent judge. It is impossible to explain how the murder was accomplished, there being no apparent way he murderer could have gained access to the judge’s room. The evidence of the judge’s butler is the really disturbing element. When he entered the judge’s study he saw dripping blood everywhere and a rope with a noose, but when the police arrived they found no traces of blood and no rope. Conroy had received a strange telephone call warning him of the murder. These two strange events seem entirely unrelated, but are they? Conroy and his medical friend soon find themselves investigating another strange murder. They will be plunged into a world of horror, confronting an evil that seems to be unstoppable. The title suggests an oriental origin to the evil, which proves to be more or less the case. The devil in question is the object of devotion to a cult of devil-worshippers in China, China and Tibet being (if we are to believe this novel) major centres of devil-worship of the most barbarous kind. This book has devil-worshippers, demonic possession, human sacrifice, mutilations, torture, Black Masses, paranormal phenomena and heathen idols that come to life. And toads. Lots of toads. And lots of blood. What more could you want? It’s all handled in a very pulpy and deliciously trashy style. Asbury keeps things moving at a cracking pace, piling lurid thrill upon lurid thrill. He knows how to build suspense and he knows how to bring matters to a suitably exciting climax. Sadly this novel appears to have been Asbury’s only foray into the realm of occult thrillers. 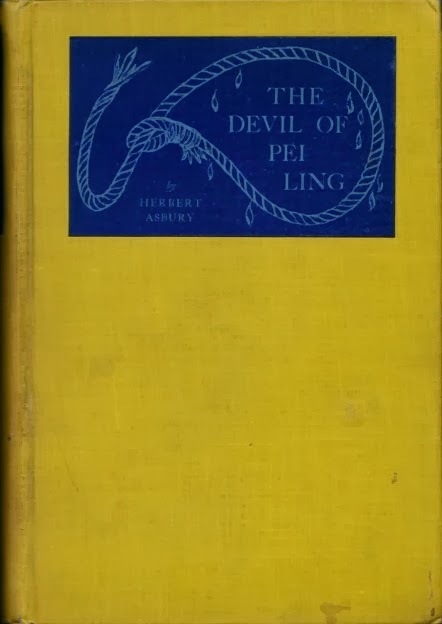 The Devil of Pei Ling is long out of print but used copies can be found if you are prepared to search hard enough. And you will find the effort is well worth it. A delightfully trashy extravaganza of thrills. Very highly recommended. 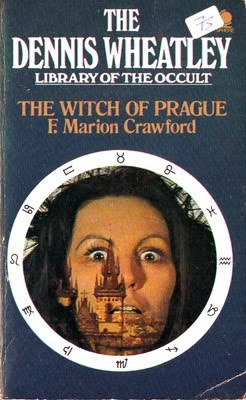 F. Marion Crawford’s The Witch of Prague, published in 1891, is more a strange occult love story mixed with reflections on philosophy and the mind than a conventional novel of gothic horror. Francis Marion Crawford (1854-1909) was an American writer known for his weird fiction. The witch of the title, Unorna, does not brew strange potions or cast spells. Her one power is the power of hypnosis, but in her this power is developed to an extreme degree. She can hypnotise anyone against their will, and secure complete control of their minds. She does not use this gift in the service of any diabolical entity. In so far as she is evil, she is evil through selfishness and through a giving in to the temptations of the power she possesses, and through utter ruthlessness in accomplishing her ends, rather than through any particular malevolence. She has a collaborator - a mysterious, wealthy dwarf, a man of great learning and influence. This man, Keyork Arabian, has conceived a project to conquer old age and death, and is using an elderly scholar who had been mentally enslaved by Unorna, as an experimental subject. When Unorna meets a enigmatic stranger, known only as the Wanderer, she finds a new purpose in her life, a new use for her powers. She has fallen in love with this man, and means to have him, by fair means or foul. The most interesting thing about the book is the way it illustrates the 19th century obsession with hypnotism, and the growing fascination with the relatively new science of the mind. There’s a suggestion that occult powers are in fact simply highly developed but little understood natural powers. The book shows a deep interest in the mystery of memory, and the links between memory and personality, and different states of consciousness. It also reflects, indirectly, the retreat of religion before the advance of science, with evil being seen in a rather modern way as more to do with a failure to adjust ourselves to reality and an unwillingness to deal honestly with our desires and their consequences for ourselves and others, rather than in any strictly religious sense. It’s a little slow, and Crawford’s prose isn’t exactly riveting. It’s a book that’s interesting for its subject matter, even if it’s slightly heavy going at times. The Sherlock Homes stories weren’t the only mysteries written by Sir Arthur Conan Doyle. Some of his other short fiction in this genre can be found in a collection called Great Tales, which includes his Tales of Terror, Tales of Mystery and Tales of Pirates. 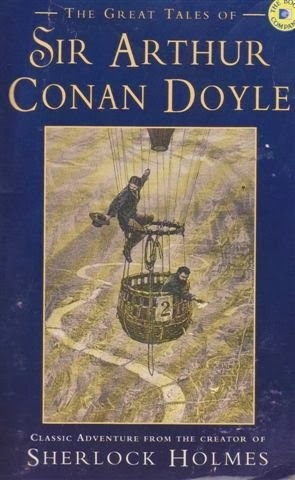 As these titles imply, Conan Doyle’s short fiction ranged over many different genres. Tales of Mystery includes six stories. The Lost Special and The Man with the Watches are both railway mysteries, and I must confess I dearly love mysteries involving trains. The Lost Special in particular is a great little story, and is quite literally about a train that disappears. The Japanned Box is a mystery, though not a crime story, and involves a man trying to escape his past. It’s a bit sentimental, but strangely moving. To reveal anything about The Beetle-Hunter would be to give away spoilers, but it’s a good story, and it is about beetle-hunters. The Jew’s Breastplate concerns relics of great antiquity and immense value in a museum, relics which may or may not be the target of an ingenious thief. I think these stories compare very favourably to the Sherlock Holmes stories. They’d be perfect for TV adaptation, if anyone was prepared to take the risk of doing something different rather than yet another version of The Hound of the Baskervilles. The Tales of Terror are equally interesting, especially The Brazilian Cat (yet another Conan Doyle story involving exotic wildlife and hot-blooded South Americans) and The Case of Lady Sannox, which opens with a well-known society beauty unexpectedly taking the veil, and a prominent London surgeon reduced to a babbling wreck. This Conan Doyle collection (Great Tales by Conan Doyle) also includes his Tales of Pirates. And who can resist a pirate story? His pirate stories chronicle the career of the notorious cut-throat John Sharkey. The Dealings of Captain Sharkey with Stephen Craddock and How the Governor of Saint Kitt's Came Home both have the sorts of clever plot twists that you’d expect from the creator of Sherlock Holmes. The Blighting of Sharkey has a twist of a different sort. Sharkey is a fairly nasty piece of work, more ruthless and bloodthirsty than most fictional pirates. Conan Doyle was able to make him vicious because he’s more villain than hero, although he is also both intelligence and brave. Some of these stories are quite dark, almost gothic adventure stories. Tales of Pirates also includes A Pirate of the Land (One Crowded Hour) which is one of those strange little offbeat stories that Conan Doyle wrote from time to time, and which I find rather appealing. If you’re into pirates it’s well worth checking out these stories, although I must confess I don’t know how difficult they’re going to be to get hold of.